The Amity School of Foreign Languages is located in the sprawling Amity Campus in Sector 125 at Noida (an adjoining township of New Delhi), which is developing as one of the biggest business and entrepreneurial centers in Asia. It was established in the year August 2005 with the focus to nurture the talent. The Campus provides an ideal setting and background conducive to meaningful learning. Amity School of Foreign Languages ASFL, Noida offers various graduate courses as well as Post Graduate courses. 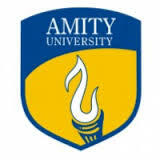 Amity School of Foreign Languages ASFL, Noida is affiliated to Amity University,Noida. List of facilities available at Amity School of Foreign Languages ASFL, Noida for students.